This was fun. 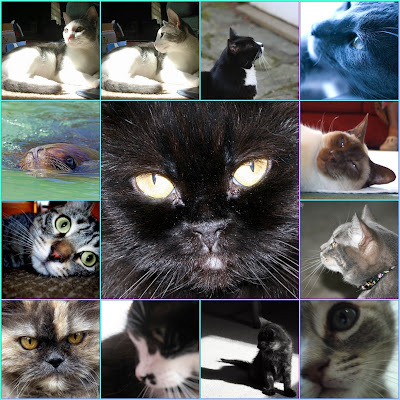 I put in the word WHISKERS into the tag of the mosaic maker on Flickr. Mostly cats, but there is a cute seal, too. Try it! Oh I had been trying to get the Mosaic thingy to work on my blog and I just couldn’t. The cat mosaic is too great – with a seal too!